Virtual Reality is undoubtedly a very interesting technology of the modern time, where one can sit and imagine their dreams becoming fulfill virtually. And maybe that is why virtual reality is becoming an important key factor for marketers for promoting their product worldwide. 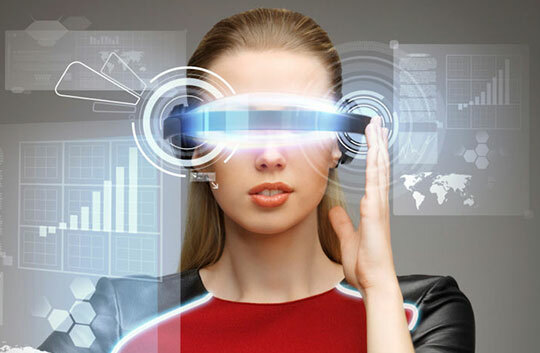 Still the Virtual Reality (VR) is a very new technology and it needs more time to be more popularized among people. So let’s come to know how to make a better use of this technology for promoting businesses to their desired customers for attracting more profit in their near future. Here I am listing 5 ways of promoting business through Virtual Reality. Now day’s planning a vacations and holidays is becoming a very much time-consuming matter for people. So they always love to visit any reputed holiday planner agencies for getting their job done. And it always happens that we get a full A to Z assistance from them regarding the trip. 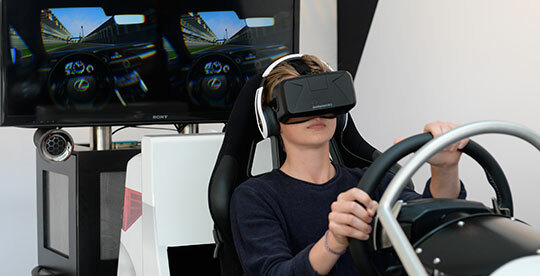 So it will be a great idea for those companies for adapting this virtual reality technology as a part of their services. Sometimes it is being found that customers get or became a little bit confused how their desired places or the hotel and their services will be, so to erase those confusions this technology can help them a lot. By sitting into the agencies office, you can simply enjoy your place of destinations or can enjoy the hotel services you are planning to stay. It’s simply a concept like visiting a place virtually without visiting the place in reality. So of course, it will be 100% percent advantageous business promotion idea, much better than just verbal convincing procedure. Before purchasing a space for doing business, maybe it can be for making shopping complex, may be for making a cinema hall or may be an office what you actually need is to make an assumption whether that space will be suitable as per your requirements. There is 3d models visualization available, but still there remain the limitations in looking’s. But a full VR technology will help you to take complete and accurate decisions before going for any kind of investments. So taking the decisions regarding space investments will became an easy job now. If this Virtual Reality technology is implemented in making any kind of amusement park, then again it can be a profitable business type. People always love to visit those unusual places where they can actually feel the sense of watching something live. For an example, like Jurassic park where their special rides and the amazing adventurous experience of watching spider man in 5D. This type of virtual reality based zoo, interactive museum, aquarium, and digital art gallery can bring lots of revenues in today’s time for any marketers. The experience of live playing of your favorite games without actually playing it live will be great news for any sports or games lover and a great business idea for any marketers. We all know that it is possible to watch our favorite game show or sports live from any background, but playing it live is not at all possible for any non-players. And here is the importance of VR, which can give you that pleasure and excitement of actually playing it live with your favorite player or with your favorite home team. Now days buying a car are very much in fashion and in needs. How will it be if suppose you get the facility of test driving your dreamed car before you are actually driving it, in reality, it will not be an awesome factor for taking into consideration? So to give customers that label of comfort zone these car selling companies can actually apply this technology as special types of service. And not only for the customers this type of technology can actually be a beneficiary for the company owner also, who can easily avoid lots of problems of actually organizing a test drive in reality from their showroom for every car. So basically, this type of VR technology can actually prove to be a good opportunity to them. We all know that Virtual Reality technology is new to us. But knowing its quality and importance for our business world, we will have to apply it to promote our products and services worldwide. So any marketers who still do not apply the idea of VR just gear up and apply it on your own way to rock the world.